Chef Chalk Memo Board is rated 5.0 out of 5 by 3. A great gift for any occasion. 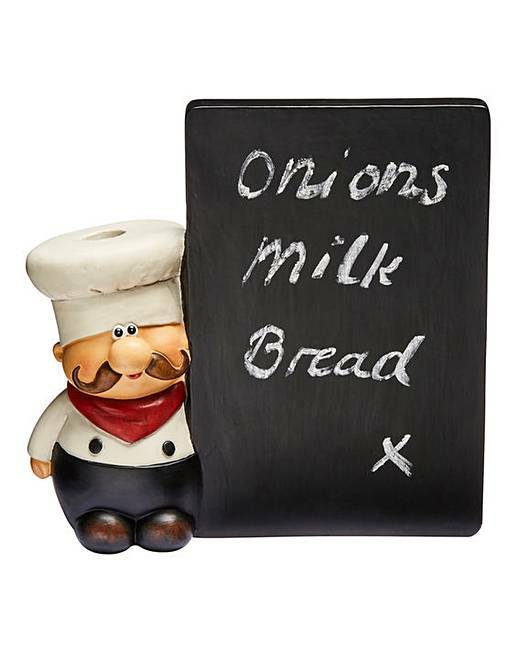 A great place to keep all memos safe with this chef chalk memo board. Rated 5 out of 5 by Wendy b from Nice novelty item Bought two of these, one for me and one for a present.